The official acceptance list for the first Grand Slam of the season has been announced. 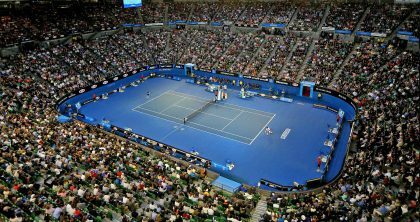 The Australian Open 2019 will take place from the 14th to the 27th of January, while the qualifying tournament will be played in the week before (three rounds, from Tuesday to Friday). James Duckworth and Zhe Li have won respectively the Australian Open Play-off and the Asia-Pacific Play-off, earning a Wild-Card into the main draw. The clay court season is going to start as two ATP 250 tournaments are set to take place in Houston and Marrakech. 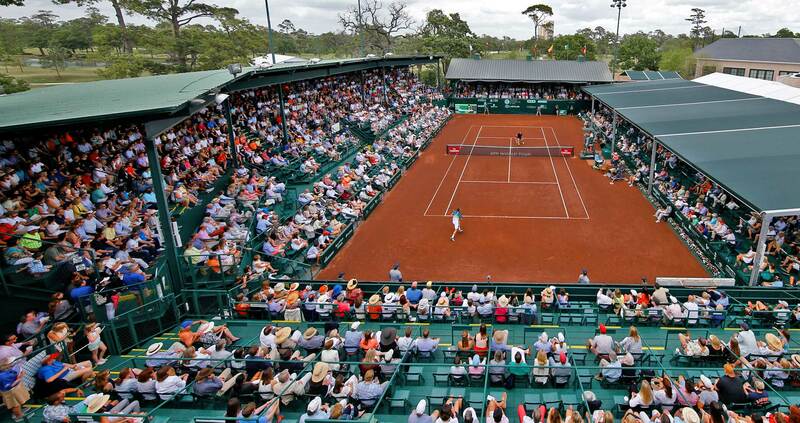 The U.S. Men’s Clay Court Championships and the Grand Prix Hassan will be played from the 8th to the 14th of April. USA’s Steve Johnson and Spain’s Pablo Andujar and the defending champions. A new kid surprises, maybe gets to the third round, but then he plays the big names. INDIAN WELLS, Calif. — The description, “Lucky Loser,” seems an oxymoron; army intelligence, jumbo shrimp, lucky loser. Except this is tennis, not the military or crustaceans. And tennis is a sport in which love means nothing — getting shut out — so anything goes, including at times a qualifying loser into the main draw. 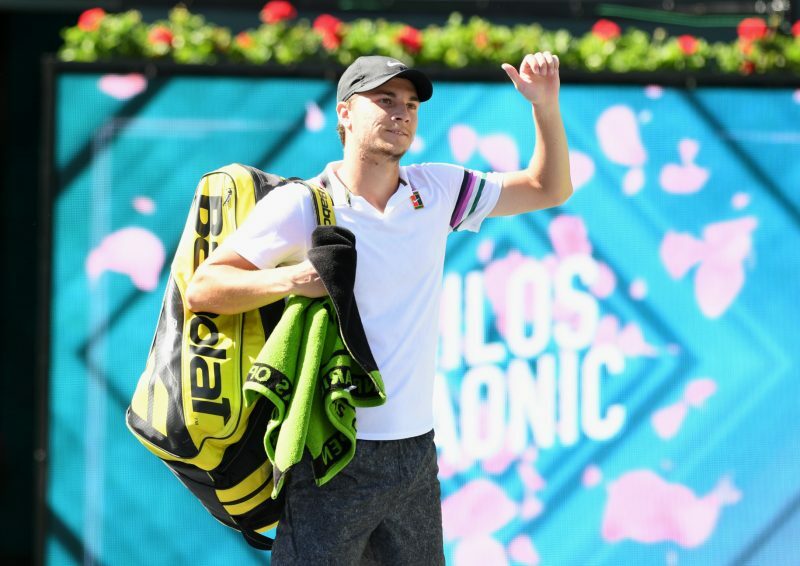 One of those in this BNP Paribas Open was a 19-year-old from Serbia, Miomir Kecmanovic (no, I don’t know why Serbs, Croats, Russians, Spaniards, French and Austrians can play and Americans can’t). Kecmanovic finally was eliminated Thursday, as you would imagine when a guy ranked 130th in the world meets up with the guy ranked 14th, who three years ago was ranked third and was a Wimbledon finalist, Milos Raonic. Yes, Kecmanovic was the loser, and this time not so lucky — except by getting to the quarter-finals he earned $182,000. Raonic, with his big serve, scored a 6-3, 6-4 victory. When you’re not exempt, as in one of the top money winners, you try to get into a tournament through qualifying. Kecmanovic did try. And failed, if barely, getting beaten in a third-set tiebreaker. Depressed? That’s an understatement; this led to an overreaction. He was going to quit the sport. Then he came to a realization. “You’re like, ‘OK, you don’t know anything else in life, so you’ve got to stick to this,’” he said. Someone eligible inevitably withdraws. At the BNP it wasn’t someone, it was three people, all because of injuries, Kevin Anderson (the 2018 Wimbledon finalist), Pablo Carreno Busta and Grigor Dimitrov. Kecmanovic had a bye in the first round, then won three matches, the last when Yoshihito Nishioka retired because of a bad back after losing the first set. Lucky? Perhaps, but this time Kecmanovic wasn’t a loser. Nine lucky losers have been ATP tournament winners since 1978, the most recent Marco Ceccinato at the Gazprom Hungarian Open in April 2018. He didn’t have to play against someone as competent as the 28-year-old Raonic, who now has reached the BNP semis a fourth time. Raonic was born in what was then Yugoslavia, but when he was 3 years old his parents, both engineers, emigrated to Canada where Milos, now 6-foot-5 and 215 pounds — if that sounds like a basketball player, well, he took part in an NBA All-Star celebrity game — was introduced to tennis. He had been introduced briefly, during a match in Australia, to Kecmanovic. “I played him in Brisbane after — I wasn’t aware until they mentioned it today that he was the Lucky Loser,” said Raonic. “But he beat, fairly handily, Leonardo Mayer down there. That was a tough match. Against a better player, Kecmanovic didn’t win. That is usually what happens in tennis. A new kid surprises, maybe gets to the third round, but then he plays the big names. On Kecmanovic’s side of the draw are Roger Federer and Rafael Nadal. To borrow a lyric, the road gets tougher. But Kecmanovic has a few dollars now to bankroll himself. And he has success in a tournament that most players consider just a notch below the four Grand Slams. If that means taking the match seriously, well, anyone skilled enough to qualify for the main draw of any ATP tournament, whether as a Lucky Loser or not, is world-class. These guys, and on the other side, these women, are great athletes, top to bottom. Or they wouldn’t be on tour. Even when you get lucky. 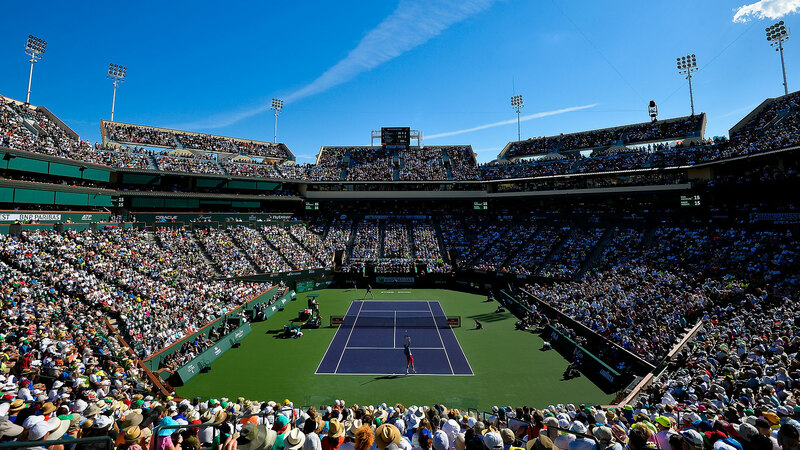 The BNP Paribas Open in Indian Wells will take place from the 4th to the 17th of March. The Master 1000 event will be played on the hard courts of the Indian Wells Tennis Garden in California, starting with a qualifying tournament. The defending champion Juan Martin Del Potro has withdrawn with a knee injury.